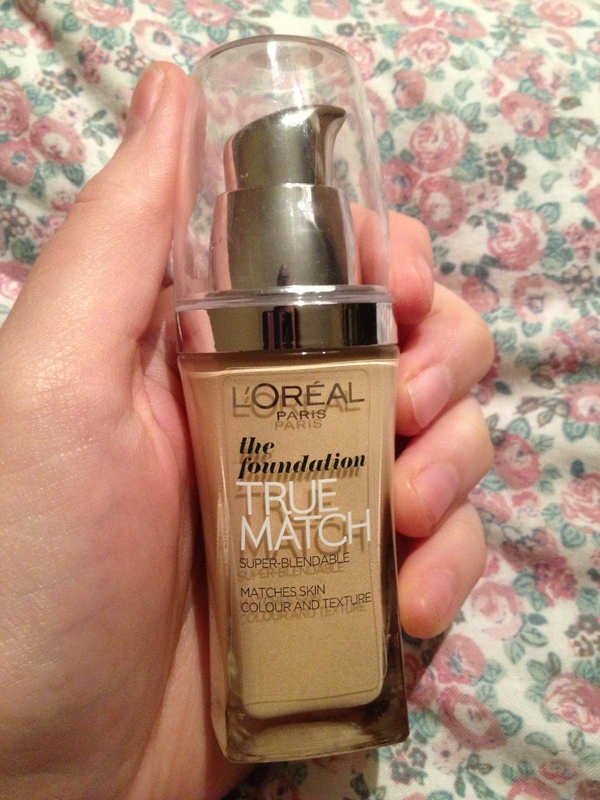 Back in December, I picked up the L’Oreal True Match foundation in Boots. 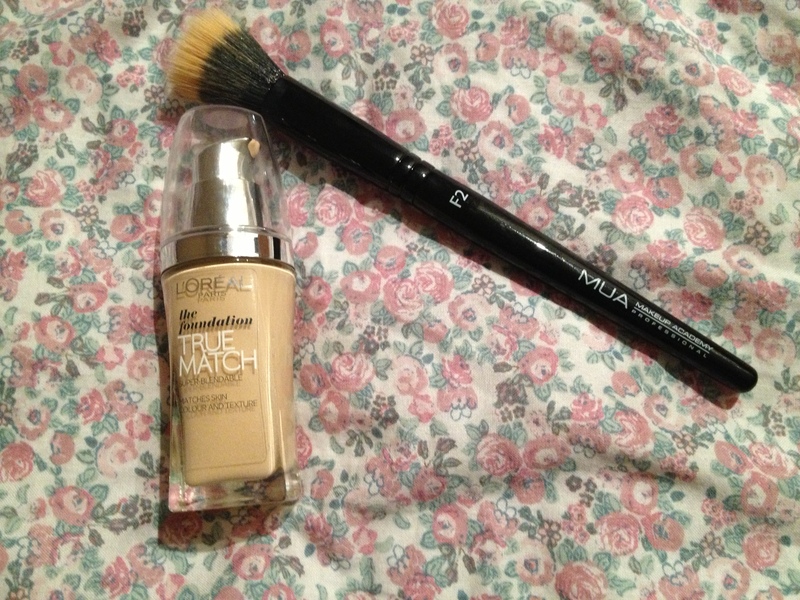 Now, I had never used a L’Oreal foundation previously but I had heard good things so I gave it a go. The foundation claims to be super-blendable and match skin colour and texture. 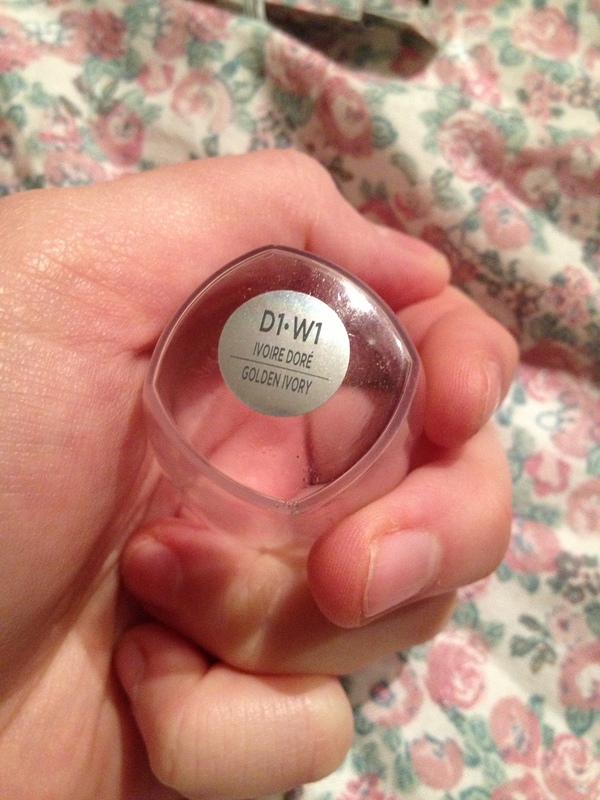 I purchased the shade D1WI Golden Ivory which is one of the lighter shades. I was really impressed with the wide variety of shades they have, it makes a change for a drugstore brand to have such a good range. 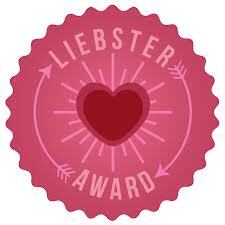 It is a liquid foundation with a very fluid water-like consistency and it is indeed super-blendable. It does what it says on the tin, and I did notice how it evened out my skintone in places too. One pump is enough for me, and it applies so easily. It almost glides onto the face. I use my MUA F2 Stipple brush that I spoke about in my MUA Haul but it would work well with a standard foundation brush or even your fingers too. I would say it has a light to medium coverage which is what I look for in a foundation, I don’t like anything too heavy. But you could achieve a more fuller coverage look with this foundation by building it up without it looking cakey. I have super dry skin and it still worked well for me, it didn’t dry out my skin any further which is such a bonus. It lasted well in the winter weather too, I used my Rimmel Stay Matte powder on top to set it. My final thoughts? I think this is a great foundation for anyone looking for a no fuss, flawless finish foundation on a budget. A true drugstore gem in my opinion. Thank you for the review, I’ve been tempted to buy it but I don’t think any of the colours look pale enough.